"The rent is not too down, but not too high. It's something possible you can pay,” said Sadiel Guirarte. 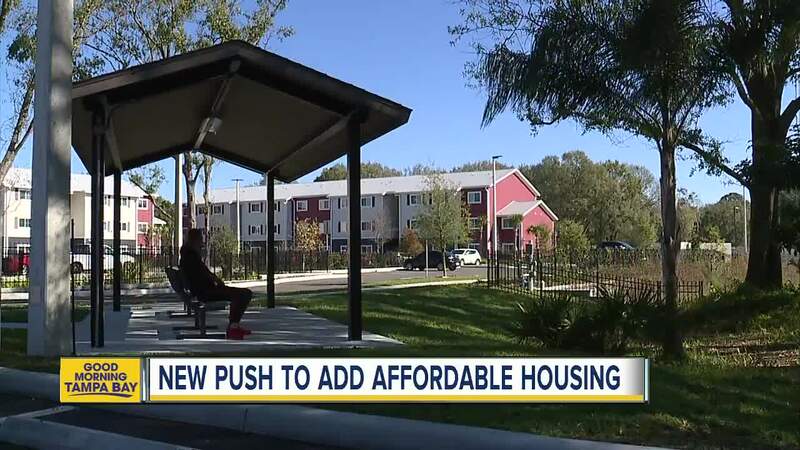 HILLSBOROUGH COUNTY, Fla. — Housing for moderate to low-income families is one of our area's biggest challenges. "It is beautiful,” said Sadiel Guirarte. Guirarte moved from Miami to Tampa four months ago. "In Miami, maybe it's one thousand two hundred, thousand and three hundred," he said speaking of rent. Sweetwater Villas is hundreds of dollars less than he and his family are forced to spend on rent. "The rent is not too down, but not too high. It's something possible you can pay,” he continued. Sweetwater Villas opened last summer and was built by the Hillsborough County Affordable Housing Department through a grant. "When we think about affordable housing, I always say, affordable for whom?,” said Cheryl Howell, the Affordable Housing Director. In Hillsborough County, fair market value for a one bedroom apartment is $850 month. For three bedrooms, it's $1900 month. 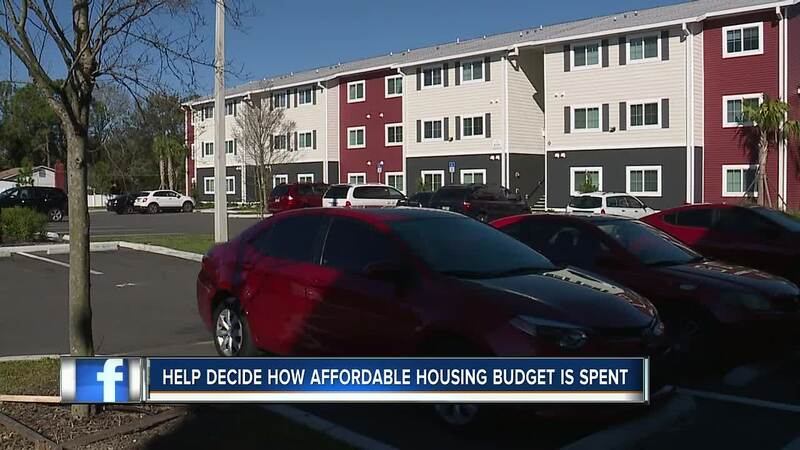 Now Howell's team is asking for your help to decide how to spend $5.1 million in new budget funds for affordable housing solutions. "We're open to tiny homes, container homes, micro-apartments, co-living so whatever the needs of the people are, that's what we want to do,” said Howell. A February 5 public forum at 6 p.m. at the Robert W. Saunders Sr. Public Library is set-up to collect your ideas. Howell says down payment assistance in-field development and public-private collaborations are options that work too. "This is the beginning of the conversation here. This is what the voice of the people have reflected and we want to bring those needs back to you so that our activities can reflect the needs of the people,” she said. Needs of people like Guirarte who say affordable rent is everything. "If I can say to somebody, move here, I'd say, move here,” said Guirarte.